Slovenians is a Belgian punk rock band from Brussels, active since 2012. Known for their blistering delivery and firecracker front man, Slovenians melds punk influences such as The Dead Kennedy’s, The New Bomb Turks and Minor Threat with feisty doses of rock ’n roll, blues and garage rock. A first EP "Frankie Goes To Ljubljana" was released in December 2014. The standout tracks “I’m Not Batman” and “Babysitter” became staples of the best underground rock ’n roll DJ’s in Brussels and aired on alternative Belgian radio stations. 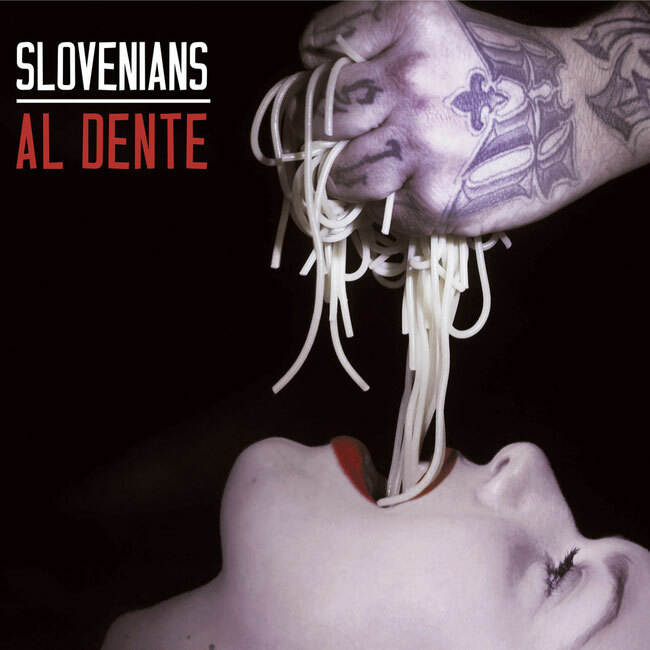 In December 2016 Slovenians returned to Studio Six to record "Al Dente" a 13 track album that came out in June 2017 on CD as well as on all major digital platforms. Tragically, in July 2017, just one month after the release of "Al Dente", their lead guitarist Sinkesh Krištofik was fatally injured in an accident that put the future of the band heavily in doubt. After a few months of mourning the remaining members gathered and eventually agreed that Sinkesh would definitely want them to carry on. So with the support of their friends and his family’s blessing Slovenians started rehearsing again. A new lead guitarist and long time friend of the singer joined the band and soon they were hitting the stage again, faster, louder and stronger than ever! Through the intensity of their frantic live performances, Slovenians has built a strong growing base of followers. Don’t miss their next show, just go see them play anytime you can!